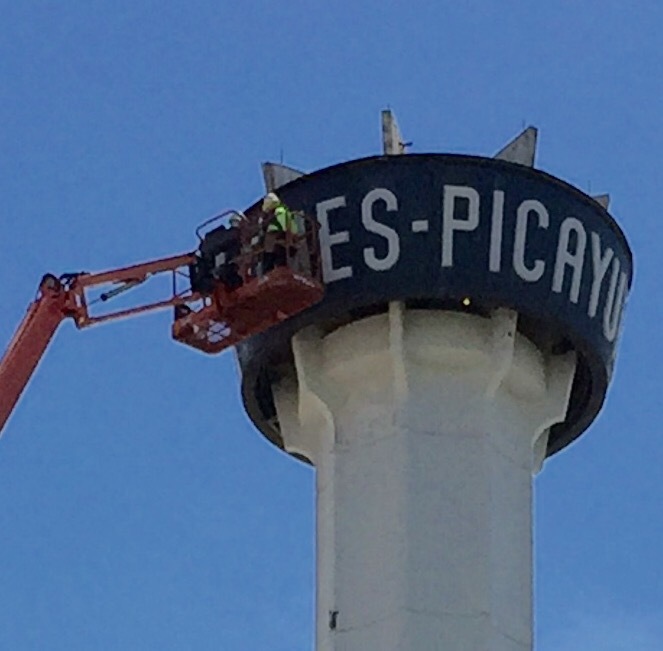 Workers perched atop a massive crane remove the name “Times-Picayune” from the Clock Tower that was for nearly 50 years a widely recognized landmark and architectural symbol of the newspaper. Times-Picayune alumni across New Orleans today witnessed the removal of “Times-Picayune” from the Clock Tower that made the newspaper a part of the cityscape for almost half a century. The Clock Tower is also the image on the dust jacket of Hell and High Water. The massive presses that printed hundreds of thousands of copies of the newspaper between 1968 and January 17 of this year were ripped from the building, at 3800 Howard Ave., last month, in preparation for the arrival of a still-undisclosed new owner. A massive crane looms above the former headquarters of The Times-Picayune to remove the lettering from the iconic Clock Tower. Some had speculated that the new owners may leave the iconic Clock Tower intact in a nostalgic homage to the 179-year-old newspaper and the role it has played in the region’s history. However, today’s removal of the lettering proved that speculation wrong. 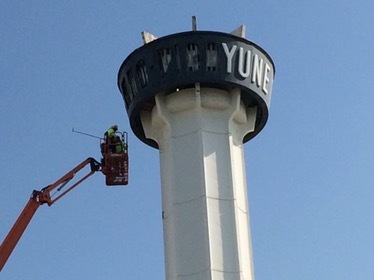 Former longtime employees reminisced on Facebook this afternoon that the Tower also previously carried the name of the States-Item, the Picayune’s now-defunct sister paper, and that the signage rotated, alternately displaying both papers’ names to motorists traveling along the adjacent Pontchartrain Expressway. The removal of the final vestiges of “Times-Picayune” came a day after parent company, NOLA Media Group, named a new president. Tim Williamson, founder and CEO of the New Orleans nonprofit Idea Village, will replace outgoing President Ricky Mathews, who is being bumped upstairs by NMG’s owner, Advance Publications. As detailed in the book, Mathews had failed to win over the community since arriving in 2012 to oversee the radical “digital first” transformation of the newspaper. Those changes led to the termination of more than 200 employees, including almost half of the newsroom, and fueled a national outcry over the dismantling of the newspaper that had so bravely chronicled Hurricane Katrina and her aftermath. Most of the remaining employees and new, generally younger employees subsequently moved in late 2012 and early 2013 to the top two floors of One Canal Place, a downtown skyscraper, where they continue to work. A skeleton crew of employees continued to work at 3800 Howard Ave. on the print edition of the newspaper until Jan. 17, when the facility was shuttered. Another 100 employees lost their jobs as a result of the closure, and the newspaper is now printed 145 miles away in Mobile, Ala., on the presses of sister paper, the Press-Register. A small outpost of editors and designers now put the print paper together out of The Times-Picayune‘s former East Jefferson Parish bureau in Metairie. Today, parts of the newspaper’s presses were pulled from the building in pieces. The newspaper’s parent company began printing the Picayune on the presses of its sister paper, the Mobile Press-Register, 145 miles away, in January. In the spring of 2012, the New York-based Newhouse family, owner of The Times-Picayune, announced their plans to make New Orleans the largest U.S. city without a daily newspaper. Prominent New Orleanians stepped forward, first pleading with the Newhouses to keep the newspaper a daily publication, and then imploring them to sell it to local owners who would. Tom Benson, owner of the NFL New Orleans Saints and NBA New Orleans Pelicans teams was one who offered to buy the newspaper. Benson wasted no time in responding. In a 667-word response released that evening, he flatly rejected the suggestion that he sell either team, and reiterated his intention to transfer ownership to his wife, Gayle, upon his death. It is my belief that New Orleans has the passion and spirit and resilience … Major league cities (and rest assured, we are one), have high-visibility entities such as NBA and NFL teams. NOLA.com | The Times-Picayune today carried out its expected third round of layoffs since its “digital first” transformation in September 2012, letting go 37 full- and part-time editorial employees, or “21 percent of the overall content operation’s full-time employees,” NOLA Media Group President Ricky Mathews said in a statement. Only a handful of editorial employees who worked for the news organization before the 2012 mass layoff are still employed. Among those terminated were veterans James Varney, Dinah Rogers, Keith Spera, and Paul Purpura, who had been with the newspaper 26, 24, 19 and 16 years, respectively. John Pope, whose career began in 1972 at the now-defunct Picayune sister paper the States-Item , was also let go from full-time employment, but is expected to continue to contribute as a freelancer. It wasn’t just veterans who got their walking papers. Andy Grimm, who had been recruited from the Chicago Tribune to cover federal courts, reporter Ben Myers and graphics reporter/editor Dan Swenson also were laid off. Read full coverage by Gambit, WWL-TV and The Advocate. 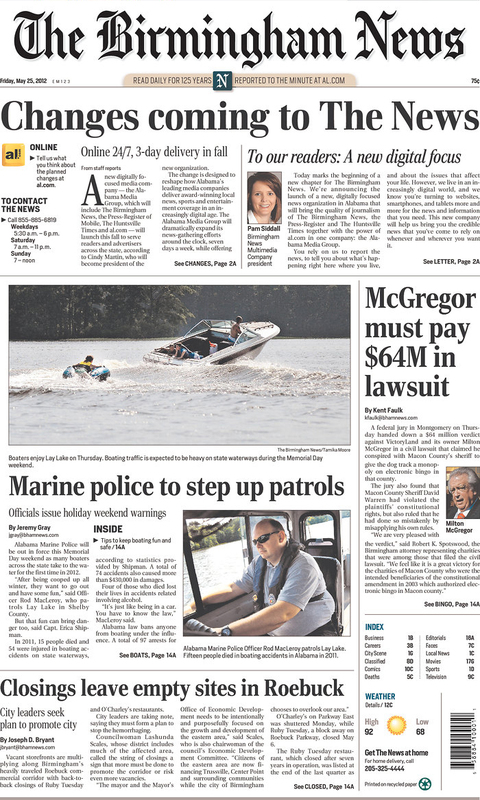 Advance Publications gave journalists at the Huntsville Times, Birmingham News and Mobile Press-Register their walking papers today (Aug. 18). The layoffs are expected to be precursors to terminations at The Times-Picayune later this year or in early 2016. Although the company did not disclose how many were terminated in Alabama, Birmingham’s alternative weekly, Weld, pegged it at 21. 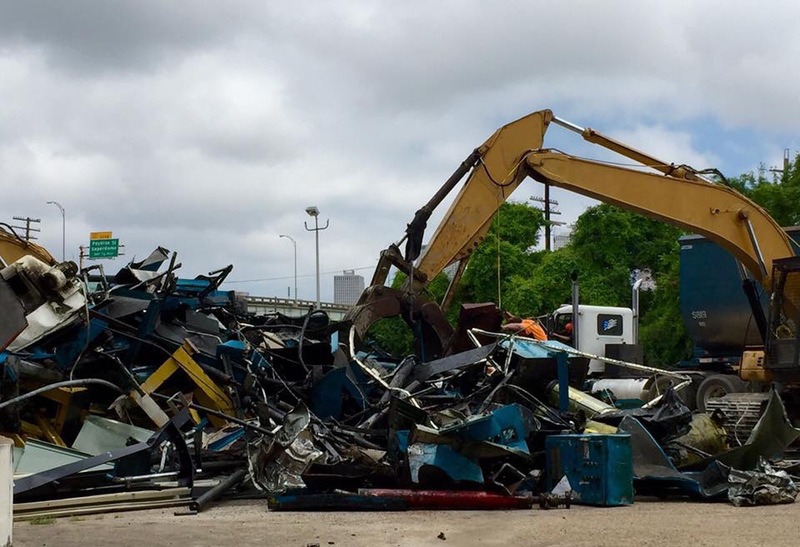 At least eight editorial employees at the Press-Register were let go, including six reporters and two photographers, Lagniappe, Mobile’s alt-weekly, reported. Employees there had been expecting cuts since it was announced in June that Advance was consolidating its Alabama operations, its Mississippi Press and The Times-Picayune into the Southeast Regional Media Group, Lagniappe Co-Publisher/Managing Editor Rob Holbert reported. The latest layoffs mean at least 20 members of the Press-Register‘s editorial staff have either quit or been fired since January, according to Lagniappe. The company said it has laid off five to nine full-time journalists each in Birmingham, Mobile and Huntsville, the Birmingham Business Journal reported. These layoffs followed 10 terminations in January statewide. Front page of the Birmingham News in May 2012 when the layoffs began. Picayune. The Huffington Post‘s media reporter Michael Calderone reported yesterday (Aug. 17) that anxiety is mounting among Picayune staffers, who also face the 10th anniversary of Hurricane Katrina Aug. 29. The assumption has been that the company will wait until after that commemoration to announce layoffs there, given the central and high-profile role the newspaper’s staff played in heroically chronicling the storm and its aftermath. News media website Poynter.org published the entire memo issued earlier today by AL.com Vice President Content Michelle Holmes announcing the cutbacks. Banner story in The Times-Picayune four years ago today by newly named publisher Ricky Mathews, promising the-then 175-year-old newspaper and its newer website would remain a fixture in New Orleans. As New Orleans prepares to commemorate the 10th anniversary of Hurricane Katrina on Aug. 29, most media watchers assume The Times-Picayune will produce its own retrospective on the sacrifice many of its staff made in chronicling the storm and its aftermath, work that led to two Pulitzer Prizes, countless other national and international awards, and worldwide praise. Instead of somber contemplation about the greatest natural and engineering disaster in U.S. history and the newspaper’s role in documenting it, it seems that remaining employees at the once-revered 178-year-old publication will be consumed with avoiding the ax as staff cuts once again strike the operation. “They’re being pretty upfront,” one newsroom staffer told Gambit Editor Kevin Allman, who along with The New York Times’ late media reporter David Carr, led coverage of the 2012 dismantling of the newspaper. Another T-P staffer joked grimly to Allman that it may be “2012 redux” — referring to when hundreds of Times-Picayune employees, freelancers and contractors lost their livelihoods in support of corporate owner Advance Publications’ new “digital first” strategy. Many Times-Picayune reporters and photographers lauded for their coverage of Katrina and its aftermath were laid off during the 2012 purge, and many more either left the market or business, or jumped ship to join The Advocate newspaper of Baton Rouge after it was acquired by New Orleans billionaire John Georges and expanded into New Orleans later that year. (Those defections are detailed in Chapter 5 of the book.) 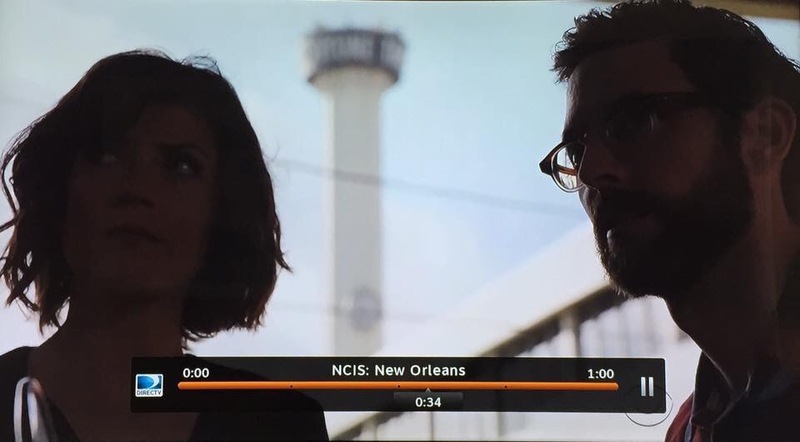 About 50 now listed on NOLA.com’s online staff list remain from 2005. The latest restructuring will occur “in the latter half of 2015” – perhaps around the time of the Katrina anniversary – and be completed by early 2016, “sources with knowledge of the plan” told Allman. “Also unclear when it comes to the [impending layoffs]: how much weight will be placed on each writer’s ‘clicks’” — a count of how many reader views a reporters’ stories garner — “which are closely tracked within NOLA Media Group,” Gambit reported. Although NOLA.com’s story didn’t specify where the new regional operations would be headquartered, Gambit reported that most T-P staffers expect it to be in Mobile. Last fall, the company announced that the newspaper will shutter its presses in favor of printing the newspaper on the Press-Register’s presses some 145 miles away, beginning later this year or early in 2016. Those layoffs or jobs transfers are either still underway or recently concluded, according to social media posts from friends of those employees. 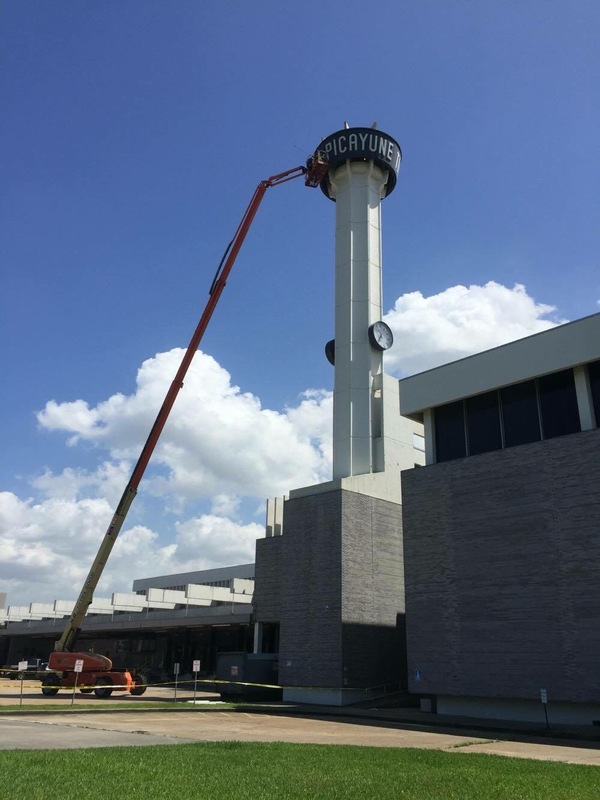 That move will cost The Times-Picayune another 100 jobs and prompt closure of the newspaper’s building and iconic clock tower along the city’s Pontchartrain Expressway. Once all operations have been relocated, execs have said the building will probably be donated to a New Orleans nonprofit. 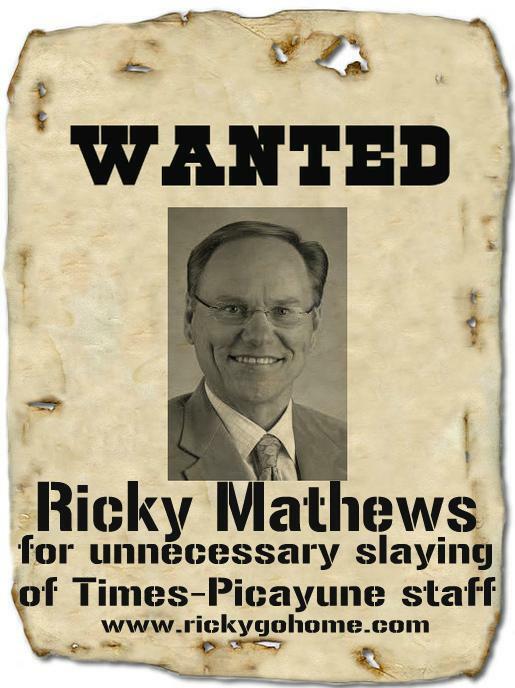 Fliers that popped up around town shortly after Mathews’ was appointed publisher of The Times-Picayune in 2012. However, “whatever detractors say about the print-to-digital swing in New Orleans, the company is happy with the job Ricky Mathews has done there,” said Rick Edmonds, media business analyst at journalism think tank and continuing education center Poynter Institute said Monday.